On a bright spring day in 2005, in a country I cannot name, I entered a drab, unremarkable building, a gateway to a grim, unaccustomed world. Its spaces were impersonal, antiseptic, institutional. The residents of that alien world, both the guards and the guarded, were never exposed to natural light. They inhabited a claustrophobic universe of their own, a place suffused with a permanent air of foreboding, in which both time and external reality had been suspended. On entering that world one could sense an invisible bond among the inhabitants, the captors and the captured, impenetrable to outsiders. A harsh necessity had bound them together, condemning them both. No one with a soul, upon first exposure to this place, could fail to be affected by it. And yet, when I spoke with the Americans there, it was to another reality, far outside their confined spaces, that I referred. I told them of the importance of what they were doing, how the information they generated, confirmed by investigations whose leads they had supplied and which had culminated in the arrests of committed terrorists, may well have saved the lives of hundreds and perhaps thousands of innocents, most of whom would forever remain blissfully unaware of their debt to the inhabitants of that room. Over nine years have passed since my visit to a so-called CIA "black site," where mass murderers -- some actual, some merely aspirant -- were detained and interrogated, but the issues with which some of us struggled in those days remain very much with us. Within the next few weeks, a redacted version of both the executive summary and the findings and conclusions of a highly classified report prepared by the Senate Intelligence Committee will be formally declassified, and will hit the street. Dealing with the CIA's now-defunct terrorist detention and interrogation program, which existed from 2002 to 2009, it is expected to be accompanied by a similarly redacted version of a CIA rebuttal, and by yet another commentary, this time from the minority Republican members of the same committee. If the reader is surprised that the Republican members of the Senate Intelligence Committee would feel constrained to provide a separate assessment of what purports to be their own committee's work, it is because I have left out an important detail regarding whose report this actually is. More on that later. Over five years into the making of the Senate report, and virtually on the eve of its release, I and 14 other former senior CIA officials whose competence and integrity it purports to judge were at last to be given a belated, ten-day period in which to read it. Though perhaps the people most knowledgeable of the subject at hand, our views have never been sought. None of us -- not one -- was ever asked to be interviewed by the Senate staffers who compiled the report; nor indeed, to my knowledge, has any CIA employee, past or present. The brief privilege of reading the document was to be conditioned on our agreement not to discuss its contents until the report was released to the public. Alas, thus tantalized, most of us have had this opportunity snatched away. Senator Dianne Feinstein (D-Calif.), chairman of the Senate Intelligence Committee, is reported to have exploded in anger upon learning that we were to have the opportunity to read the un-redacted research of our accusers. The White House has acceded to her demands, and now our number has been reduced from 15 to five -- all former CIA directors and deputy-directors from the period in question. For me, there is no disappointment in this. I had already decided not to avail myself of this opportunity, and thus to avoid its strictures. I had, in fact, already seen enough. You see, the purported findings and conclusions of the Senate report, all 20 of them, had long since been leaked to the press. Of course, we cannot know whether these leaked details are accurate. But no one associated with their alleged preparation has denied or repudiated them. Let us not speculate fruitlessly as to how it has come mysteriously to pass that the particulars of the Senate committee's highly classified allegations, and none of the CIA's rebuttals, have made it prematurely into the public realm, there to influence the political climate for the report's release; let us focus instead on the conclusions themselves. What purports to be a Senate Intelligence Committee report is in fact nothing of the sort; it is a partisan Democratic Senate committee staff report, masquerading as something it is not. Space does not allow their listing here, and of course they are otherwise available, but taken together they constitute quite an indictment. If one were to take them at face value -- a course I do not advise -- one would have to conclude that a very large number of CIA personnel, perhaps many dozens of them, engaged in a massive, years-long conspiracy in which they first lied to the Department of Justice about the interrogation techniques they planned to employ to gain formal legal support for them; recklessly incarcerated individuals who met no legal standard for detention, without even properly accounting for their number; systematically lied to their non-CIA overseers about the detainees' conditions of detention and interrogation; brazenly impeded oversight by the White House, Congress, and their own Inspector General; ignored numerous critiques and objections from their own workforce; and then managed a coordinated program of targeted leaks of classified information in a bid to manipulate the U.S. media into inaccurately portraying the effectiveness of what they were doing -- all so that, year after year, they could stubbornly maintain a program which was producing no intelligence of any worth. Goodness. If even a substantial portion of this were true, I would be among the first to advise that CIA be razed to the ground and begun all over again. Let me instead modestly state that this version of events does not quite accord with my own recollection. 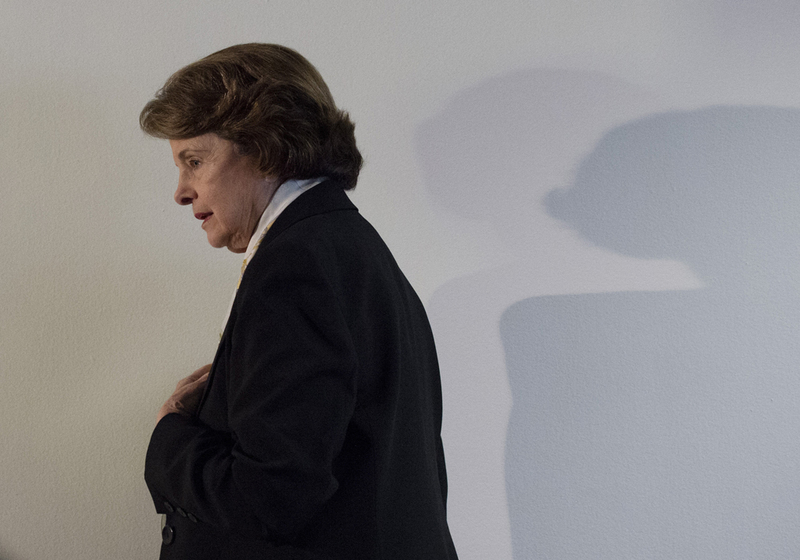 On March 11, 2014, Senator Feinstein rose to the floor of the Senate to deliver an extraordinary, and perhaps unintentionally revealing speech. In it, she summarized months of petty bickering between her own Senate staffers and the CIA personnel charged with making millions of pages of CIA documents available for their review, which had recently culminated in a criminal referral to the Department of Justice by CIA's acting General Counsel, alleging Senatorial improprieties in gaining unauthorized access to CIA information. That whole imbroglio has since taken on a life of its own; but whatever one's perspective on the many disputes involved, it is safe to say that these CIA-Senate dealings were not characterized by a high degree of mutual trust. From the CIA side, it is not hard to imagine why, as the staffers appear to have reflected Senator Feinstein's selective way of dealing with the truth -- as in this instance: In that same March 11 speech, Senator Feinstein sought assiduously to highlight the involvement of Senator Bond, then-Vice Chairman and ranking Republican on her committee, in decisions related to the start of the investigation. She somehow neglected, though, to mention one salient fact: Shortly after the committee's investigation got underway, its Republican members declined to participate further. The stated reason was that by this time, the Obama administration had decided to reopen criminal investigations of CIA interrogation activities which had already been thoroughly investigated by the Department of Justice -- a blatantly and transparently political act -- and that this development would likely make some current and former CIA officials reluctant to testify, thus compromising the investigation from the outset. Senator Feinstein and the committee Democrats were apparently untroubled by this -- in fact, as they would subsequently demonstrate, she and her staffers had no interest in complicating their report with the testimony of CIA people in any case -- and went ahead regardless. Thus, what purports to be a Senate Intelligence Committee report is in fact nothing of the sort; it is a partisan Democratic senate committee staff report, masquerading as something it is not. Some of my former colleagues have expressed genuine wonderment as to why neither they nor any of their currently-serving colleagues were interviewed as part of the Senate study. The lame explanation from Senator Feinstein is that, in view of the criminal investigation ongoing at the time, CIA persons' testimony could not be compelled. But in many, and perhaps most cases, no compulsion was necessary. Many of my former colleagues, myself included, would have been more than happy to testify, legal jeopardy or not. Again, we were not invited. My colleagues should wonder neither at this nor at Senator Feinstein's adamant refusal to permit them an advance look at her handiwork. The reason is obvious: Nothing we would have said, then or now, would have been useful to the Senator's purposes. And just what are those purposes? That Senator Feinstein and her minions on the committee have produced a set of conclusions which reflect a blatant caricature of reality is beyond dispute, certainly in the minds of those who were there. But as to why -- well, there's the question. Surely it's not just simple, bloody-minded hatred of CIA -- though by now, that might be at work as well. Again, the Senator's now famous speech of March 11 provides us a hint. In 2009, early in her tenure as chairman, she noted, staffers originally assigned by Senator Jay Rockefeller (D-WV), her predecessor, to review documents voluntarily provided by then-CIA director Mike Hayden returned with a report on their contents. The documents had been provided as a means of reassuring their readers that written accounts of the contents of destroyed videotapes of early CIA terrorist interrogations, which had been prepared by CIA's independent Inspector General, in fact accorded with the original written accounts of the interrogations themselves. They did. But the staff's description of these documents had an effect perhaps unanticipated by Director Hayden. According to Senator Feinstein, the staff report was "chilling" -- revealing conditions "far different and far more harsh" than what had been described to her in briefings. Given the cartoonish findings in this report ... one might be forgiven for suspecting that the results of this study were a foregone conclusion. Such a reaction from persons unaccustomed, by many years in Congress, to having to confront the real-world consequences of actions in which they are implicated, but for which they never have to take genuine responsibility, is perhaps understandable. Those whose knowledge of war derives exclusively from historical accounts are likely to be shocked when confronted by the real thing. I myself was momentarily brought up short when confronted with the grim reality of the "black site" over which, as director of CIA's Counter-Terrorism Center, I was ultimately responsible, and on whose workings I had been thoroughly briefed. But a true adult understands these distinctions, and does not then conclude that the bloodless historical accounting must have been intentionally misleading -- that is, unless he or she has an interest in doing so. In any case, this preliminary, limited examination of CIA's documentary record of the detention and interrogation program spurred Senator Feinstein and her Democratic colleagues to launch a far broader investigation, one to which Feinstein's embattled staffers devoted, in her words, "years of their lives ... wading through the horrible details of a CIA program that never, never, never should have existed." Ah. Now we're getting to it. Whether Senator Feinstein reached this conclusion as a result of the staffers' work, or whether this report was selectively constructed to make the case for a conclusion she had previously reached -- perhaps after being so "chilled" by the preliminary report of Senator Rockefeller's staffers -- I can only speculate. But given the cartoonish findings in this report, and the fact that Senator Feinstein's researchers were utterly uninterested in gaining any explanations or context for the information they supposedly unearthed, one might be forgiven for suspecting that the results of this study were a foregone conclusion. After the March floor speech, on April 10, 2014, Senators Rockefeller and Feinstein collaborated on an op-ed which appeared in the pages of The Washington Post. 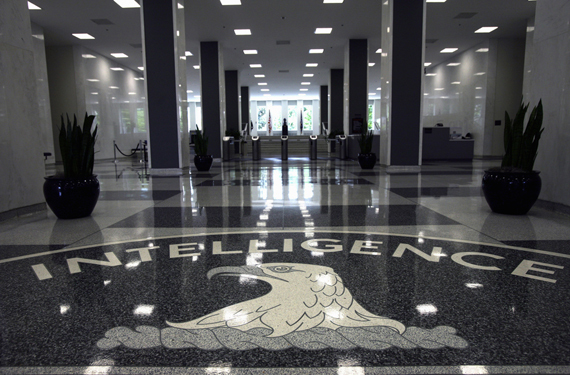 In it, they stated that "The full [Senate Intelligence] committee was not briefed on the CIA's detention and interrogation program until September 2006 -- more than four years after the program had begun ..." The uninitiated reader might conclude from this that CIA had avoided Senate oversight during that whole period, and that no Senators were briefed on CIA detentions and interrogations until just before the existence of the program was publicly acknowledged, by President George W. Bush, in that same month. But if so, the reader would have failed to note the key placement of the word "full." You see, the fact is that Senator Rockefeller, as head of the committee, had been briefed much earlier than September 2006. If he had any objections to what CIA was doing at the time, neither I nor any of my former colleagues with whom I have spoken can remember it. And he was not alone. The studied mendacity of that op-ed reflects a fact inconvenient to Feinstein and the defenders of her soon-to-be-released report: Senator Rockefeller and other Democratic colleagues stand to be accused of tacit complicity in the "horrible details" it reveals. 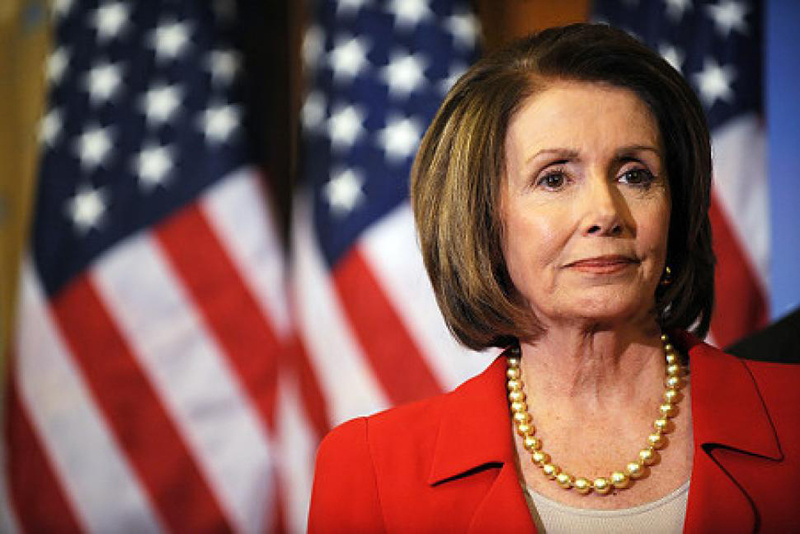 Back in May 2009, Representative Nancy Pelosi, confronted with the fact that she had been briefed by CIA on waterboarding and other coercive techniques as early as September 2002, gave a series of frenzied, inconsistent responses. After initially denying having been briefed at all, she later stated that "We were not, I repeat, not, told that waterboarding or any of these other enhanced interrogation methods were used." Her implausible explanation: CIA, despite the fact that it had already begun extensive waterboarding of Abu Zubayda in August 2002, chose to tell her in September only that a suite of coercive methods including water boarding had been approved by the Justice Department, and that their use was merely under consideration. Really. Her public statements to this effect, available on YouTube and the subject of much mirth at the time, did little to reinforce her credibility. For the authors of the RDI report, getting out from under that cloud was going to require some exertion. If they could make the case, however, that CIA actively misled Congress about what it was doing, that it "avoided or impeded" congressional oversight, they'd have gone a long way toward exculpating their Democratic colleagues. Congress can't be implicated in what was going on, you see, because it was misled as to what was going on. Just ask Nancy Pelosi. According to the Democratic staff report, all the blame, all of it, for everything from the legal judgments on which the CIA interrogation program was based to the supposed misleading leaks regarding the program in the press, falls neatly on a maniacally hellbent CIA. Now, one might think that Democrats building a case alleging the moral equivalent of criminal conspiracy might be motivated to include the Bush administration in it. But there's a little hang-up here. If the documentary record shows that CIA was telling everyone the same thing, that their briefings -- from the Justice Department, to the White House, to Congress -- were consistent, well, one would have to conclude that everyone was duped. If CIA lied to Congress, it lied to everyone. Denied the ability to tar everyone they might have hoped to, the Senate Democrats had to content themselves with tarring CIA. However she may have come to her views on coercive interrogation, I happen to believe that Senator Feinstein is sincere -- at least to a point. When she says, as she did on April 3, that "The report exposes brutality that stands in stark contrast to our values as a nation. It chronicles a stain on our history that must never be allowed to happen again," there may be a lot of politically-inspired moral grandstanding at work, but I do believe she means what she says, and that also helps to explain what she has done. Her methods may be mendacious and blatantly unfair, but her motives, at least in the minds of herself and her colleagues, are pure -- to ensure that America never again employs harsh interrogation tactics against its enemies. There may be more than a little irony here, but one suspects that she believes her virtuous ends justify her scurrilous means. I can respect the opinions of others who equate past CIA tactics to torture, and who wish never to see them repeated -- provided they are willing to back up their principles with a stated willingness to risk the deaths of fellow citizens to uphold them. But don't look for any such statements from Feinstein and company. They know they lose their audience when blind devotion to principle risks the deaths of thousands of innocents, as happened at 9/11. No, Senator Feinstein and others choose to occupy another universe -- one in which counterterrorism requires no hard moral choices; a universe in which harsh, coercive interrogations are not only messy and wrong, but also never work. How convenient for Senator Feinstein and her intrepid document sleuths that this is precisely what they found when they made their years-long, unaided deep dive into that massive trove of CIA documents. Unfortunately for intelligence officers, this is not the moral universe in which they live. The choices they make are real ones, and no less so for being morally ambiguous. Their moral choices have genuine consequences -- consequences which affect others' lives -- consequences they can't walk away from when it becomes convenient. Senator Feinstein, we are told, though having great moral qualms about vigorously interrogating terrorists, appears to have no particular compunction about killing them -- so long as it is done remotely, with little direct contact with the gruesome details. But let us suppose for a moment that the Democratic members of the Senate Intelligence Committee had opted instead to produce an honest, balanced report. That would not change their moral calculus -- not if they were sincere. If harsh coercive interrogation is wrong when it is ineffective, it is no less morally wrong when effective. To argue considerations of efficacy on a moral question misses the point. What, then, would be the value in producing and publicly releasing such a report? I can think of two legitimate ones: One would be to conduct an exercise in "truth and reconciliation," to inform the American people in detail of what has been done in their name, and of its results, and to have the honest moral discussion which thus far has been assiduously avoided by all. A second, related reason would be to build support for comprehensive legislation -- that is what Congress is supposed to concern itself with, after all -- to remove any of the interpretive legal ambiguity which permitted coercive interrogation to be considered in the first place, and ensure it never happens again. There seems to be no taste in the Congress for either. First of all, it would be impossible to conduct genuine truth and reconciliation without implicating Congress in past sins as well -- and that, as we can see, the Democratic members of the Senate Intelligence Committee, for all their self-regarding virtue, have no intention of doing. But consider: What if they did? What would it look like? What if, instead of conducting a one-sided kangaroo trial of CIA, as though it were the only entity involved in the whole post-9/11 detention and interrogation drama, Senator Feinstein had instead been honest, and risen to the Senate floor to say, in effect, the following: "After the grievous, shocking losses of 9/11, the American government, out of understandable fear of future horrors which might lie in store, took vigorous and, in retrospect, sometimes ill-considered action to ensure no such attack would ever happen again. In the process, we lost our moral bearings, and violated some of the values we hold most dear, those that distinguish us from the terrorists, including the rights to privacy and the sanctity of the individual. There was broad complicity in these actions, extending from the White House, to the Department of Justice, to the Defense Department, to CIA and the Intelligence Community, and -- yes -- to the Congress as well. Let us therefore make a detailed examination of the past, to let the American people know precisely what was done in their name, who approved it and who condoned it, and on that basis to make legislative and other necessary reforms now, before the next such attack, when we may otherwise be tempted to repeat these mistakes." Sounds honest and high-minded, doesn't it? And if it is as impossible for you, as it is for me, to imagine such words ever coming from the current leadership of the Senate Intelligence Committee -- or anywhere else in Congress, for that matter -- it should give us some insight into the nature of the problem of which the forthcoming report on detention and interrogation is but a symptom. As an individual citizen I can understand and even embrace the decision taken by the current administration to put harsh, coercive interrogation beyond the pale. But please do not misunderstand. This is not the statement of a repentant former intelligence officer seeking absolution -- far from it, in fact. Yes, as a professional, I would accept the decision of the current administration, and do the best I could with the tools at hand. In fact, that is precisely what I proposed to do in early 2006, when passage of the McCain Amendment removed, for a time, the legal protections from CIA officers engaged in coercive interrogation. I refused to continue their use without such protections. But the fact is that I supported continued use of harsh interrogation methods -- notably excluding waterboarding, which had been discontinued over a year before -- when I became director of counterterrorism at CIA in late 2004. I didn't have to. I could have denounced such methods, and walked away. I certainly wasn't trying to support or to please my leaders at the time, either at CIA or in the White House. I was at constant war with them throughout my tenure, and they fired me after only 14 months. But given what I knew of the threat, given the clear effectiveness of our interrogation program, and, importantly, given the clear legal assurances we had that we remained on the right side of both U.S. and international law, I felt obliged, as a professional, to use all the legal means at my disposal, judiciously and when necessary, to protect Americans. Those days are over. But placed in an identical position now, I know I would make the same decision again. The forthcoming release of this deeply flawed Senate committee report will be neither pretty nor salutary. It will slime the reputations of honorable people, and, given its tendentiousness and inaccuracies, little of genuine use will be learned from it. But that is not to say that everything in it will be false -- far from it. The judgments we have seen may reflect selective use of the facts, and lack any sense of balance, perspective, or fairness. But no doubt some of the facts employed, reflecting mistakes and, in some cases, abuses, will be true enough. Though set upon by the Senate researchers with a sense of discovery, they are already well known in CIA and the Department of Justice. Remember, the researchers did not conduct an independent inquiry -- they would have had to talk to people for that. They only did a document review. They will have learned of abuses only because they were reported by CIA itself, investigated by the CIA's independent Inspector General, referred to the Department of Justice for potential criminal action, and investigated by federal prosecutors not once, but in most cases twice. The official public revelation of these facts will merely permit the press to seize again on the most salacious bits, though most of these have already been reported by the same people; and to repeat the Senate staffers' wild charges regarding CIA misrepresentations, however ill-founded. Those maligned will protest, of course, but at a distinct disadvantage: The charges against them will be brief, simple, and easily understood; the counters will be long, complicated, and require some subtle understanding. It's not hard to predict the winner of that battle. Many in the public will accept the Senate Democratic charges at face value -- why would they lie? -- while others, on both sides of the issue, approaching the matter with fixed views, will seize on charge or counter-charge to underscore what they want to believe in any case. Practically no one, aside from zealots on either side of the issue, will take the time to develop an informed opinion -- that would require too much work. Apart from those unfairly maligned, a good time will be had by all. Some successor to Dianne Feinstein may well soon find political cover or political advantage, as the case may be, in a thorough, negative investigation of the drone program -- we can watch for it. Many of my former colleagues already feel embittered and ill-used in this sham process, and justifiably so. But they should not be surprised. Given the controversies of which we are inevitably a part, any CIA officer, of any generation, who expects to receive the unadulterated thanks of a grateful nation is setting him- or herself up for disappointment. In this profession the satisfaction of service must be its own reward. I knew that going in. Speaking for myself, no one should feel sorry. But that is not to say that no harm will come of this forthcoming bit of tendentious, intellectually dishonest political theater. It is not just the past which is at stake, but the present and the future as well. Make no mistake -- those currently serving in CIA are watching these developments closely. Senator Feinstein, we are told, though having great moral qualms about vigorously interrogating terrorists, appears to have no particular compunction about killing them -- so long as it is done remotely, with little direct contact with the gruesome details. As anyone reading the press will know, the current, Democratic administration has shown great enthusiasm for directed killings, employing drones in lethal operations around the world to an extent that might have shocked their Republican predecessors in the Bush administration. Death by video game has its attractions, particularly for those lacking intestinal fortitude. It enables them to avoid confronting the essential and unavoidable brutality of what they are doing. Just as was the case with harsh interrogations during the last administration, the current resort to directed killings, including so-called "signature strikes," in which the specific identities of those targeted are unknown, though remarkably uncontroversial at the outset of the current administration, has become anything but uncontroversial since. Should the perceived threat from various bits of ungoverned, terrorist-dominated geography around the globe diminish, the controversy involving drone strikes will only grow further. At some point soon, if they haven't already, the tribunes of the people in the U.S. Congress will begin to wonder about the political wisdom of their association with directed killings. They needn't worry -- they have already demonstrated their ability to avoid all responsibility -- but those charged with carrying out such strikes should, and they know it. Those in both the White House and the Congress who have chosen to comfort themselves by propagating the myths associated with drone strikes -- that they are universally "surgical," always precisely targeted, and that any civilian casualties associated with them are rare -- will inevitably find themselves shocked -- perhaps "chilled" is the word -- by reality when political calculation dictates that they examine it more closely. Drone strikes, like any other aspect of war, are far more messy and imprecise than advertised, involving subjective judgments easily vulnerable to second-guessing and ex-post-facto recrimination. They benefit only by comparison with more primitive methods, including ground attacks and conventional air strikes, but those comparisons will no longer matter when political interest moves in the other direction. Some successor to Dianne Feinstein may well soon find political cover or political advantage, as the case may be, in a thorough, negative investigation of the drone program -- we can watch for it. Those in CIA, like other Americans, are prone to short memories. The memories of those currently engaged in counterterrorism, though, may not be short enough. In my own time in CIA, as perhaps in all times, there were those inside the organization who preached that the Agency should steadfastly avoid presidential directives to affect or shape events, rather than just report on them. "Stick to traditional intelligence collection," they'd say. We hear similar voices now. But presidents always feel otherwise. Every president confronts foreign policy challenges for which a cheap, clandestine solution appears tempting. Given CIA's unique capabilities, it's often the right thing to do. But the opportunities to frustrate the president's wishes and avoid such entanglements are rife for those who are so inclined. There is even a term for it: "slow rolling." Current events, and the anticipated Senate report, will greatly strengthen the hand of the slow-rollers. It's hard to disagree with them now. Senate Democrats on the Intelligence Committee understand this, and embrace it. They are actually quite open about their intentions. If they wanted to shape future counterterrorism policy in a definitive way, they could do so with positive legislation. But there would be potential pitfalls in that. In greatly narrowing the options available to a future president, they stand to take the blame for the consequences. That is why virtually every piece of legislation nominally designed to influence foreign policy includes a so-called "national security exception," giving the president the ability to avoid the presumed limits on his power by filing a lengthy and cumbersome justification for doing so. Congress generally does not really wish to control foreign policy -- only to appear to be doing so by posturing convincingly. The present case is no exception. Rather than taking responsibility for changes in counterterrorism policy on itself, it is a far safer, if more insidious course -- one instinctive to Congress -- to abuse the CIA to the point where it self-regulates. But as noted above, there are serious downsides to that approach. U.S. national security will not be served by fostering a culture within CIA in which the organization decides for itself which of its lawful orders it will choose to follow, and makes those judgments based on what CIA officers consider best for themselves and their institution, rather than on what their elected masters deem best for the country. That is not the way the system is supposed to work. The federal bureaucracy is supposed to follow legal orders. That is what CIA has always done, frequently to its cost, and that is what the American people need it to do. If they don't like what their elected leaders have done, they can throw them out. They shouldn't look to CIA to make these decisions for them -- on their own, and for their own purposes. But if Senator Feinstein and her colleagues are successful, institutionalized insubordination is likely to be the unhealthy legacy of the Senate report on detention and interrogation. Actions have consequences. Gross injustice has its costs. Congress is incorrigible. But the American people should take notice. Robert L. Grenier is Chairman of ERG Partners, a financial advisory and consulting firm. He retired from CIA in 2006 and was Director of the CIA Counter-Terrorism Center (CTC) from 2004 to 2006. His forthcoming book, 88 Days to Kandahar, is due out from Simon and Schuster in early 2015. View his full bio here.